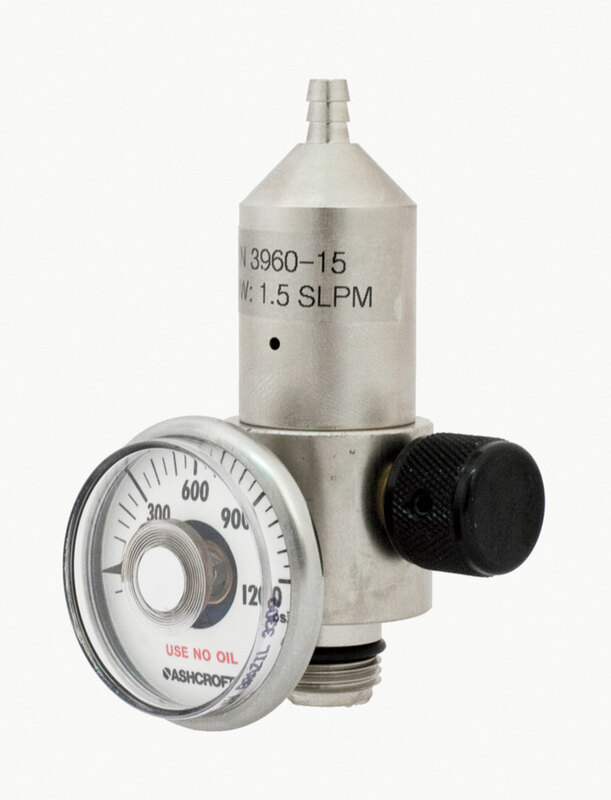 These compact regulators are designed to provide a constant fixed flow rate of non-corrosive gases and mixtures from disposable cylinders fitted with a C-10 connection. If required they can also be provided with a standard CGA connection for other types of cylinders. Integral inlet and outlet connections provide convenient compact size. Outlet orifice and preset delivery pressure provide specific flow rate when on/off valve is opened. 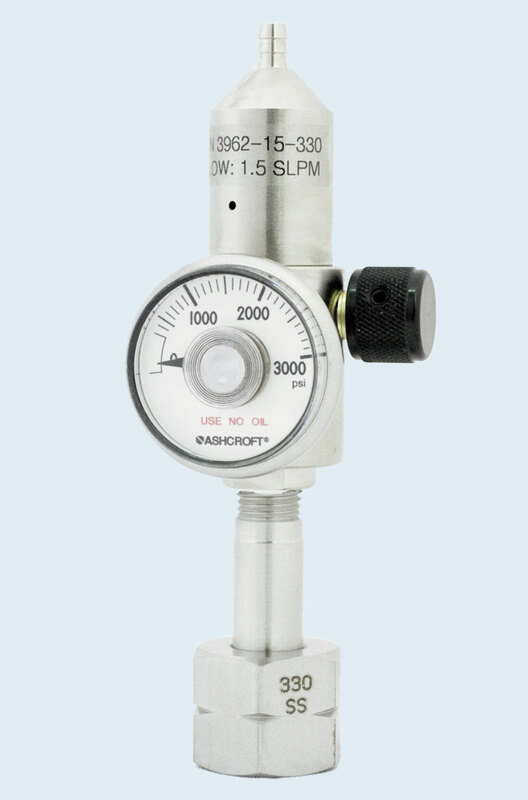 Pressure gauge monitors cylinder pressure. *If standard CGA connection is desired add CGA connection number to the model number, i.e. 3962-15-180.